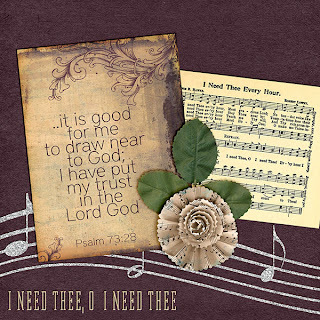 Please visit Patter's blog HERE to read her thoughts based on this lovely old hymn. What a comfort to know that our God is ever present - we need Him and call upon Him in our times of need but He is there all the time. It is us who move away. This is beautiful. I love the wonderful colors you chose.